In November of 2012, a vessel carrying two brothers capsized in the Atlantic Ocean. The boat had been unexpectedly swamped by an extremely large wave. The bilge pump on the boat turned on as expected but was unable to keep up with the fast rising water. A second wave then dumped even more water into the already sinking vessel. Within 15 seconds of being hit by the second wave, the vessel capsized, starting what would be a perilous 10 hour period where the occupants of the boat were left clinging to a cooler. The brothers found themselves stranded in the water as darkness began to fall. The required lifejackets for the vessel remained properly stowed in a forward storage compartment of the sinking boat and the only piece of gear floating freely was a 30 quart cooler and the shoreline was over a mile away. 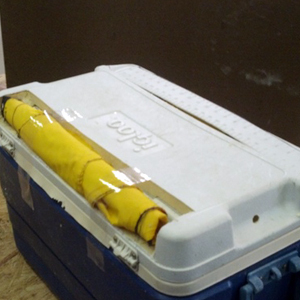 The cooler was now empty of the contents they had originally packed and was awash with sea water. They both tried to grab ahold of the cooler but there were no handles. “It hit me like a bolt of lightning. That was it! 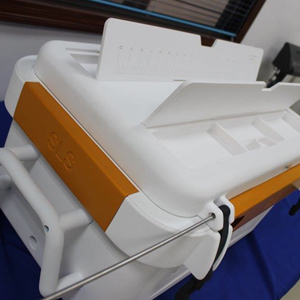 I was going to build a sleek, rugged cooler, with a waterproof storage compartment and handholds that let you get a good grip or strap it down in your vehicle.” The main feature of LifeCool would be the Supplemental Lifesaving System. It would be a cooler with a built in life raft. And with that thought, he was well on his way to reinventing the coolers of the traditional outdoor enthusiasts. But, more importantly, LifeCool was on a mission to save lives. A month later, and after hundreds of kindergarten quality drawings, the LifeCool was born. The founder and his 11 year old son designed both the name and logo while close friends and family donated to the effort to the cause. Everyone understood the mission and worked hard behind the scenes to build the world’s first and only cooler with a built in life raft.